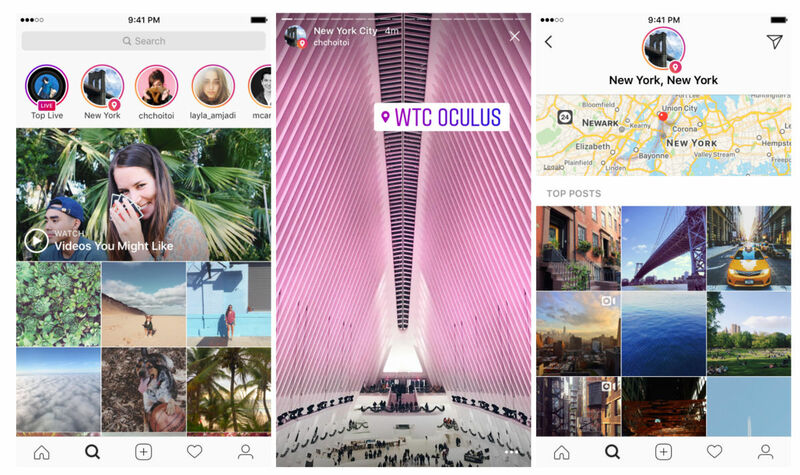 Two new Explore categories are being added into Instagram: Location Stories and Hashtag Stories. With these, users can discover content (photos and videos) based on places or things of interest, all from the same Explore tab. Instagram has been bulking up the Explore tab if you have not noticed lately, with this move continuing that trend. Along with all of the videos and popular Stories you’ll find already, Location Stories and Hashtag Stories are based solely on locations you want to see or things you view often. For example, if you search for New York City, you’ll find a story based solely on photos and videos of New York City. If you’re into Lacrosse, you can search that hashtag and potentially find a story based on that. Possibly exciting for some, there’s a chance your photos and videos can be added to a larger story, too. If you use hashtags and location tags, and Instagram happens to need that content, your media can be added for the entire Instagram community to view it. Just to note, though, you’ll need a public profile.